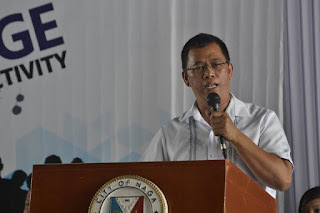 NAGA CITY (Bicol Standard) -- Vice Mayor Nelson Legacion will be the standard bearer of the Liberal Party in this city. This was confirmed by Mayor John Bongat earlier today, following his discussion last night with the members of Team Naga. Bongat added that Councilor Nene de Asis, who earlier announced that she was eyeing the mayoralty post, has decided to drop the same plan. Meantime, the other candidates of the party will be revealed after their selection process.